AV3 Media have developed and produced many highly acclaimed TV series – some of these include “Inside Shannon Airport”, “Taking Care of Business”, “The Enforcers” , and “Animal Rescue”. We’ve also worked with some of the biggest brands on their corporate video: Ryanair, Failte Ireland, BMW, Aer Lingus, Woodies, Pepsi, MSD, Stryker, Pilz, Valeo, HSE, Bord Bia, Ballymaloe, Breakthrough Cancer Research, Cully & Sully, Smyths Toys, Harper Collins Publishers, Jack Daniels, Vedanta-Zinc International, Gilead, Marathon Petroleum. If you need video content for your website, a promotional video, video production or possibly want to develop a training package for your staff, let AV3’s Cork and Dublin Video production team bring the same creativity, attention to detail and the highest of technical standards to your next project. Contact AV3 Media today to talk to us about your next project and to get a no obligation quote. Michael is the founder of AV3 Productions. He is a Master member of the British Institute of Videography and a member of The Guild of Television Cameramen. AV3 Productions. As Executive Producer he oversees all productions from simple web videos to multi-part primetime TV series. He is your initial contact and his vast experience in the TV/Video production business is a guarantee that your production will be a success. Michael has developed a huge range of TV productions from one-off documentaries to large scale TV series. He has built AV3 into one of the leading production companies in Ireland and wants to build on this success. Away from the world of video production, He has a huge interest in cars and motorsport and likes to tell stories about his visits to the famous F1 tracks of Monza and Monaco. For as long as we know him he has always driven a BMW 5-series and his last 3 cars have all been silver with black leather. Guess what colour his next car will be ! The best part of working at AV3 is that he gets to travel a lot and a trip to film in China is in the planning stages at the moment. Michael is hard-working and thorough, very approachable and totally dedicated to creating perfection in every project that AV3 produces. His choice of coffee is a Latte. Gordon is the Production Director at AV3 Productions. He joined the company in 2011 and is a highly skilled cameraman and editor. He has worked on numerous corporate productions for blue chip clients and has filmed/directed many broadcast TV productions. Gordon is big into cars and motorsport. He's a huge fan of F1 and drifting.He has a passion for automotive technology and he's currently driving a Mazda RX8 – the one with the unique Wankel engine. Chris is the newest member of the AV3 team. Having joined the company in 2016, Chris has been a great help to the company, working with us on set and also during post production. His coffee of choice is tea. After graduating with a degree in law from University College Cork, Jonathan worked in radio, television and online media for two decades. 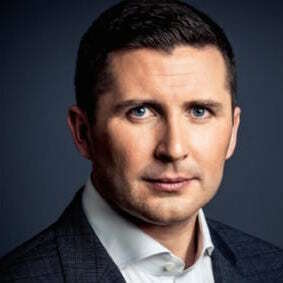 He has been a presenter with Newstalk 106-108fm and a senior correspondent with Sky News, with his work featuring prominently on both stations. 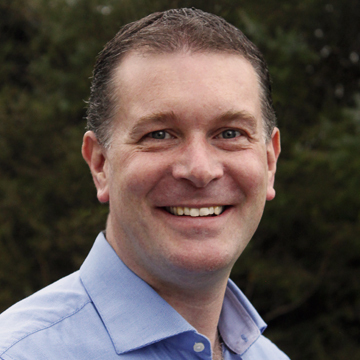 Jonathan also has experience working with TV3, RTE, FM104, The Cork Independent and Cork’s 96fm. 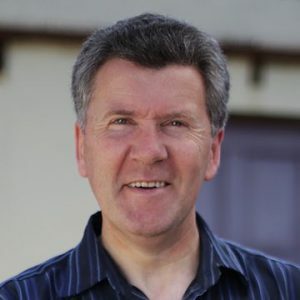 Having conducted thousands of interviews with people from all walks of Irish life, he is a skilled interviewer and proven cross-platform content creator with extensive contacts across politics, business and public relations throughout the country. Jonathan is a proven event facilitator and engaging MC. He has also delivered high impact voice-over work for corporate videos and campaigns. His coffee of choice isn't a coffee, it's Barry's tea. Gina London is an Emmy-winning veteran CNN correspondent and anchor with more than a decade of television, radio, internet and print experience who is now an internationally recognized expert at helping professionals improve themselves and their companies through dynamic and powerful communications. During her network television tenure, she covered a wide-range of breaking news stories including the US President Bill Clinton scandal and the aftermath of the 9/11 terrorist bombings. She later served as senior vice president and strategist for one of the largest government affairs firms in the United States where she led media and public outreach positioning for multi-million dollar campaigns. 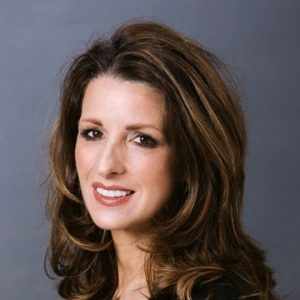 Gina has expertise in every facet of communications from social media, branding and crisis communications to working with the media and presentation skills. She notably emceed the first "Day of Peace" at the Disney Institute in Florida which featured Nobel Peace Prize laureates Oscar Arias and Archbishop Desmond Tutu. She has consulted and conducted seminars around the world for hundreds of high-profile clients including SAP, Wells Fargo, Deloitte, Daimler and the US Department of State. A published author, news analyst and keynote speaker, she has recently featured in Dublin's prestigious Pendulum Summit, The Ryan Tubridy Show, RTE's The Business and The Marian Finucane Show..
After living in Tuscany for three years, Gina's favourite coffee is a Caffè corretto. If you don't know about it, ask her! Paul has worked in communication and media for over 20 years, both in film production and graphic design. 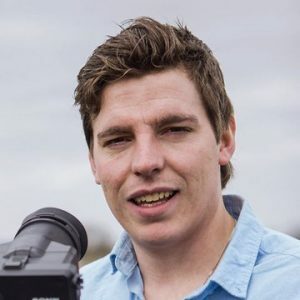 He specialises in pharmaceutical and healthcare communication, and has produced a wide range of films including educational videos for healthcare professionals and patients, disease awareness campaigns, interviews and documentaries. He also works in other industries including financial services, construction, bio-energy and food technology. Paul's company has partnered almost exclusively with AV3 for well over a decade. Paul's experience and creativity, combined with AV3's award-winning production capability, has resulted in the delivery of video solutions that are powerful, effective and engaging. Paul is a keen musician having played drums in many bands for over 30 years, and enjoys traveling the world with his wife and kids. He is also a fan of Chelsea FC, regularly attending matches with his son. His choice of coffee is a cappuccino before 10am, and an espresso after (preferably from Bar Adua in Martina Franca).